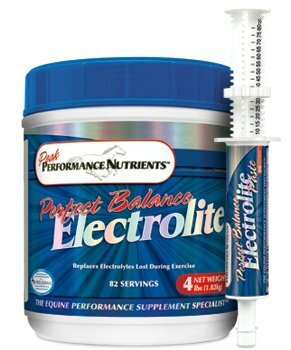 Perfect Balance Electrolite is formulated to match the proportion of electrolytes lost in horse's sweat. This ensures accurate balance and absorption for all horses. Perfect Balance Electrolite also provides concentrated Chloride levels which new studies indicate is an extremely important but often overlooked electrolyte.